This series was designed to showcase its dramatic angles, unencumbered lines and a rich combination of a Polished Nickel frame softened with taupe finished tapered wood slats. 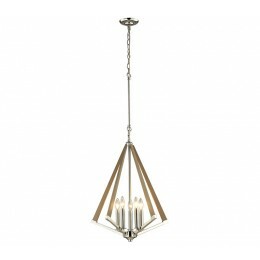 Hanging options include all chain, or a combination of chain and rods for added sophistication. 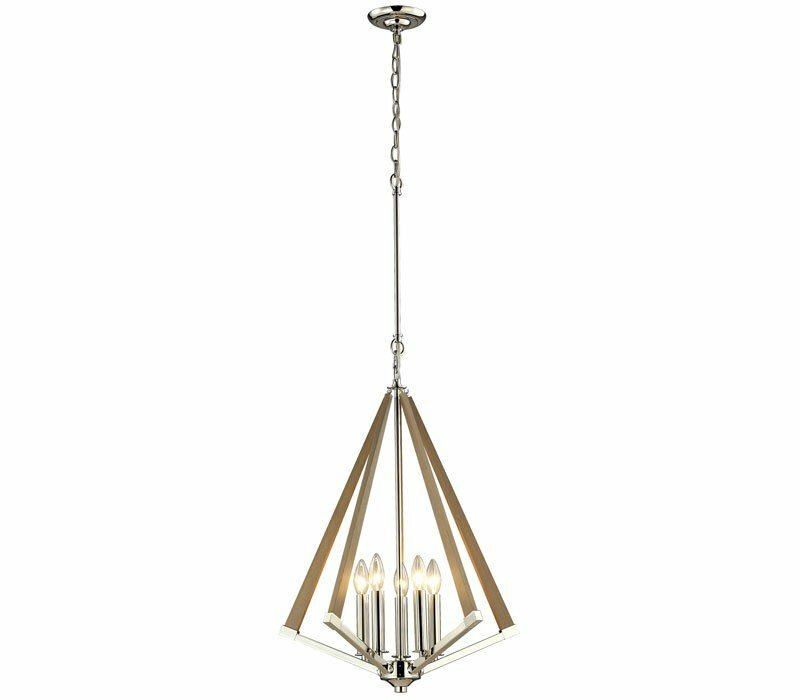 The ELK 31474/5 Madera collection Chandelier Lighting in Polished Nickel uses Incandescent light output and brings Modern style. The total wattage is 300 and the voltage is 120 volts. The ELK Lighting 31474/5 requires 5 bulbs (not included). Additional Information: Shade-Open Lamps - Type 17.